Richard Howarth is President and Chief Guest Conductor of the Alderley Edge Symphony Orchestra. He is as comfortable working with elite orchestras as he is training and educating amateur and youth groups. 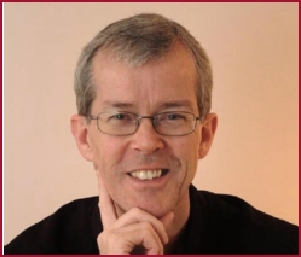 He has conducted Manchester Camerata, the Ulster Orchestra, Royal Liverpool Philharmonic Orchestra, the London, Scottish and Manchester Concert Orchestras and, from the violin, has directed Manchester Camerata and the Scottish Chamber Orchestra. Richard trained as a violinist at the Royal College of Music in London, Richard worked with the City of Birmingham Symphony Orchestra, BBC Concert Orchestra and as Leader of the Ulster Orchestra before becoming Leader of Manchester Camerata. Orr Guy studied orchestral conducting with Yi-An Xu at the Buchmann-Mehta School of Music, Tel-Aviv University. In 2013 he won first prize at the Buchmann-Mehta School of Music chamber music competition for his performance of Igor Stravinsky's Histoire Du Soldat suite. In September 2014 he was awarded a conducting scholarship by the America Israel Cultural Foundation. In July 2016 he was accepted to the Weimar conducting masterclass (Germany) under the guidance of Prof. Nicolás Pasquet (Hochschule für Musik Franz Liszt, Weimar) and was chosen to continue into the course’s second phase where he conducted the Leipzig Radio Orchestra. Orr completed his M.Mus in Conducting at the Royal Northern College of Music in 2018. He has participated in master classes with conductors Nicolás Pasquet, Lior Shambadal, Sir Mark Elder, Yuval Zorn, Lutz Köhler, Howard Williams and Zsolt Nagy. He has led rehearsals and concerts with Israel Classica Orchestra and Oldham Symphony Orchestra. Orr is supported by the Margarete and Walther Lichtenstein fund (Basel) and he is a Leverhulme Arts Scholar. Orr is now based in Vienna. Robert Chasey was formerly Principal Second Violin of the t BBC Philharmonic Orchestra. Born in Bristol in 1952, Bob studied violin at the Royal Northern College of Music in Manchester, before joining the Orchestra of the Royal Ballet as Assistant Leader. As a soloist he has performed all over the world in such varied places as Philadelphia, Gibraltar and Montreux and continues to record extensively for the BBC. The conducting spark was lit while working with the late Rudolph Kempe in London and Switzerland. Bob has 30 years' experience as a conductor and his great humour and charm instil wonderful warmth wherever he goes. He is a regular contributor to the nationally acclaimed Rehearsal Orchestra and for many years was conductor of the Lancashire Chamber Orchestra. In 2003 he was appointed Artistic Director of the Bolton Symphony Orchestra and since then Bob has earned tremendous respect for his stunning interpretations of works by Janacek, Respighi, Tchaikovsky and many more. Miles Haslam started conducting six years ago by taking occasional rehearsals at Macclesfield Light Orchestra and more recently with the Alderley Edge Orchestra. Earlier this year he was appointed Musical Director of the Altrincham Concert Orchestra. In 2016 Miles became Music Director of Congleton Youth Orchestra. Miles conducted our Workshop performance of Rachmaninov’s Second Symphony in February 2016, and he conducts preliminary rehearsals throughout our orchestral season. Miles is second clarinet in the Alderley Edge Orchestra,. Edwina Wolstencroft is a music graduate of Exeter University where her first study was the piano. She also has a Postgraduate Diploma in Performance (conducting), from the RNCM and has conducted several amateur orchestras in the North West, most regularly the Middlewich Concert Orchestra. Her day job is as a BBC Editor, leading programme teams in the production department at BBC Radio 3, where the programmes she is responsible for include Afternoon Concert and The Listening Service. In the Woman’s Hour 2018 Power List, Edwina is listed as one of the top 40 most successful women having an impact on the music we’re all listening to today. 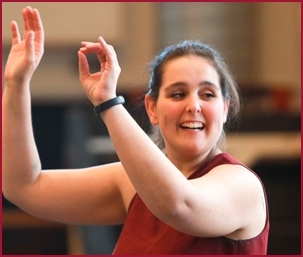 Rita Blanco was awarded a degree in orchestral conducting at the Academia Nacional Superior de Orquestra in Lisbon in 2016. In 2017 she obtained her M.Mus at Escola Superior de Musica de Lisboa and is currently contining her studies at RNCM. Born in Portugal, Rita has taken part in many masterclasses with conductors including Sir Mark Elder, Marin Alsop and Johnannes Schlaefli. Assistant conductorships have included the Hallé Orchestra, BBC Philharmonic, Royal Liverpool Philharmonic Orchestra and Manchester Camerata. 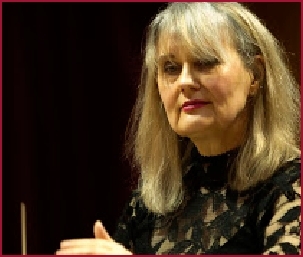 Rita has conducted concert performances with Northern Ballet Sinfonia, Stockport Symphony Orchestra and RNCM New Ensemble.